Various NSTP Classes of College of St. Benilde, De Lasalle have joined the farmers of Hacienda Luisita this 2011, Bungkalan. The project is included as an alternative class program, allowing students to experience 2 days and a night of a life of a farmer. Itinerary starts with a short backgrounder, briefing the students of the history and current events happening in the different aspect of the battle for land and justice in Hacienda Luisita. A half day after which will be spent to go to a chosen baranggay to conduct a socio-economic survey on a sample number of residents chosen randomly. 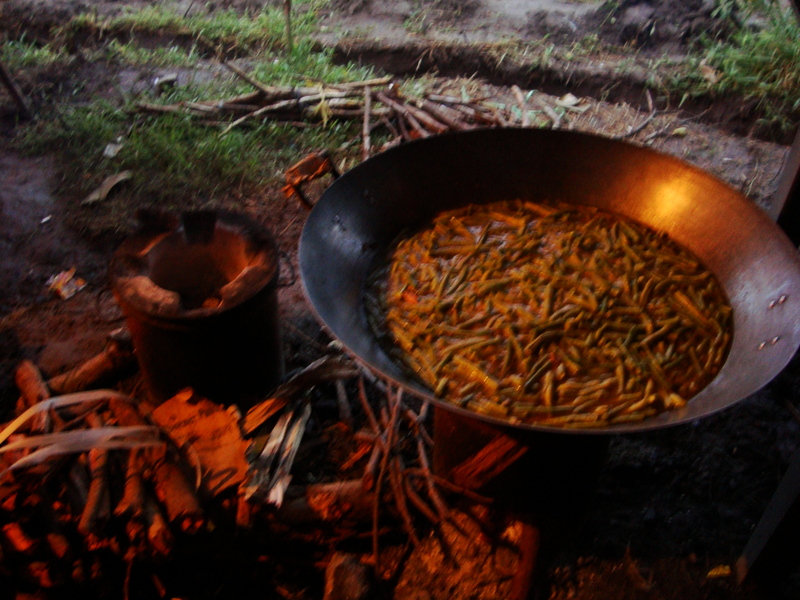 A night with a foster-family of farmers will be spent after a short cultural-solidarity night is held. Early morning, according to the farmers’ regular schedule, the students joins the farmers to work in the farm. Solidarity lunch of the entire class follows and a short commencement program follows before departure time. On board the school bus they will take a short tour on special areas in Hacienda Luisita, passing by the site where the massacre on November 16, 2004 had happened. Solidarity Dinner: A simple yet sumptuous fresh-picked string vegetables sauteed with soy sauce. 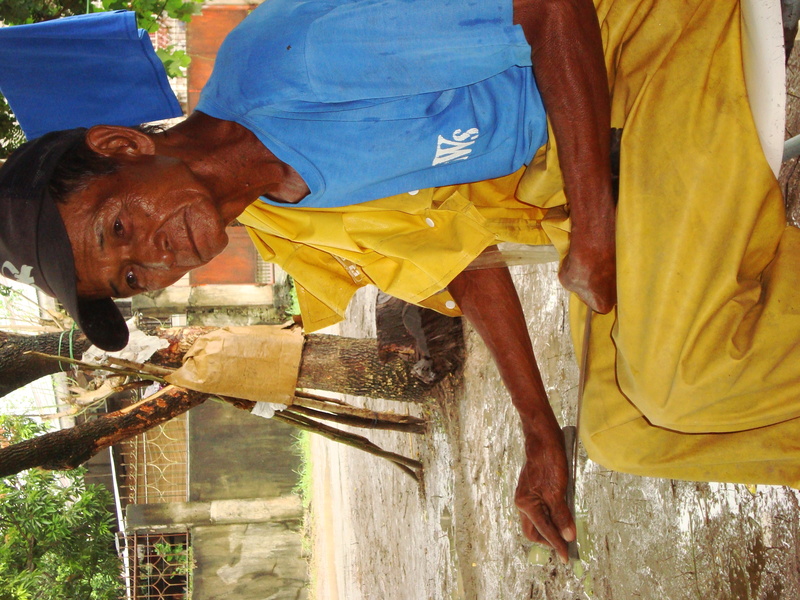 A Farmer making sure that his sword (gulok) that will clear the land and make it ready for tilling was well sharpened. Students marching on the way to the muddy farm. 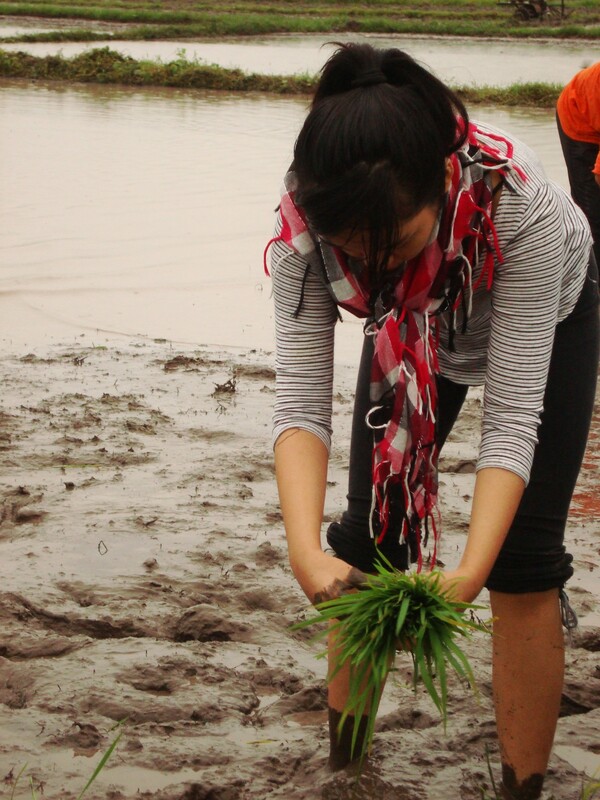 Russel, a student does not mind the slight drizzle of rain in order to perfect his task in helping the farmers. 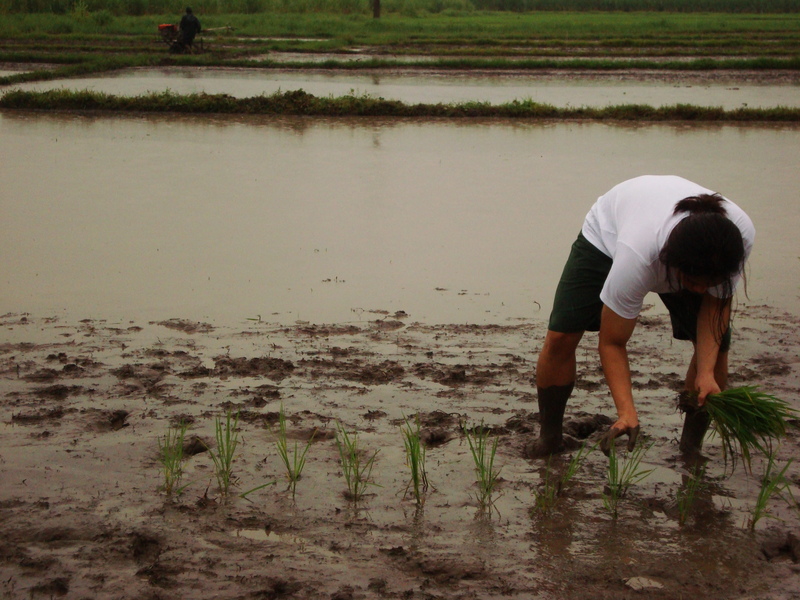 Shy, another student tries her best to copy the example of a young farmer on how to plant this palay seedlings unto the muddy fields. Students taking their turns and occupying their spaces, as they move together in helping the farmers of Hacienda Luisita. 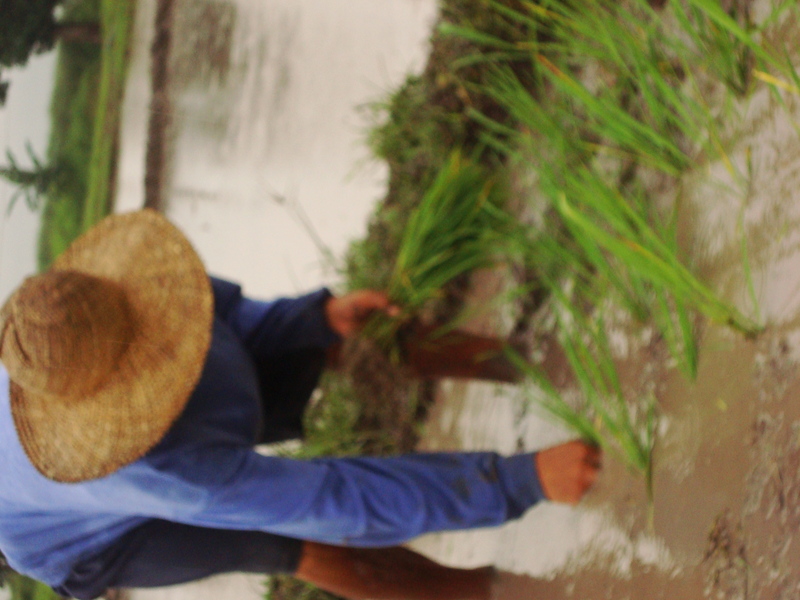 A third generation farmer, shows the students, his fellow young people, the right strokes in planting the palay on the ground.